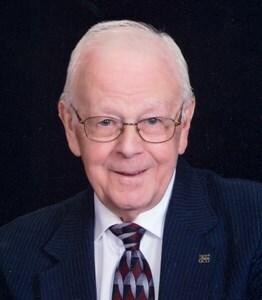 Newcomer Family Obituaries - Harry D. Hagelbarger Sr. 1930 - 2019 - Newcomer Cremations, Funerals & Receptions. Harry D. Hagelbarger Sr., a caring and godly man, 88, of Columbus, OH, passed away at Mt. Carmel East on February 9, 2019. Born on Sept. 6, 1930 to the late Noble and Lena Hagelbarger in Tiverton Township, OH. Preceded in death by wife, Carman Elise "Lee," and brother, Carl (Avis) Hagelbarger. Survived by children, Sandra (Tom) Chapman, Shirley (Ed) Shonkwiler, Jesse (Donna) Davis, Carl (Sharon) Hagelbarger, Dee (Mike) Koumarianos and Harry (Millie Murphy) Hagelbarger Jr., 14 grandchildren, 26 great grandchildren, 4 great-great grandchildren and several nieces and nephews. Harry was a very active member and vocalist at Buckeye Christian Church and previously served at Gahanna Church of Christ. Visitation Tuesday, Feb. 12, 2019 from 6-8pm at Newcomer, SW Chapel, 3393 Broadway, Grove City, OH. Funeral Service Thursday, Feb. 14, 2019 at 10am at the Funeral Home. Interment to follow at Forest Lawn Memorial Gardens, Columbus, OH. Memorial contributions may be directed to The Missionary Outreach at Buckeye Christian Church, 1528 London Groveport Rd., Grove City, OH 43123. Messages of condolence may be shared with the family by clicking the "Share Memories" tab. Add your memories to the guest book of Harry Hagelbarger Sr..
My Saturday mornings will not be the same without Harry's HELLO Dear & his smile and shake of his head as I rant before 7am with his Coffee with Honey(to sweeten him up), Baja breakfast wrap(to spice it up) with a knife to go box & a big hug before he left! Sending hugs & condolences from my family & The Scrambler Marie Family! He will greatly be missed! We are saddened to hear of Harrys passing. Sunday morning church will never be the same without him. He was able to grab the hand or hug every person at the service. I learned not to ask him how he was . His answer was always the same "I am better now" . Harry is better now that he is with his wife, and in the presence of the Lord. May his family always know how special Harry was. And he will never be forgotten. Till we meet again at Jesus' feet. It is with a sad heart that I acknowledge Harry's passing. He was a wonderful man. I so loved seeing him and his greeting on Sunday morning. His vocals will never be forgotten. My sympathy to the family who has lost a wonderful family member. My prayers for comfort. Thoughts and prayers are with the children and family.